week, next month, or Any time further than TODAY! LORD GOD’ IS UP AHEAD! IF YOU ARE IN THIS LINE, THE FATHER ALREADY KNOWS WHAT YOU NEED! HE IS THE ONLY SUPPLIER FOR YOUR SPIRITUAL AND YOUR NATURAL LIVES. COME, REST IN HIS FAITHFULNESS AND ALLOW HIM TO SATURATE YOUR HEART WITH ALL THAT YOU NEED TODAY. 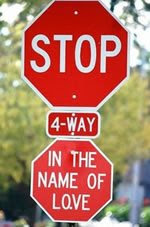 AND REMEMBER, WHEN YOU ARE AWAKEN IN THE MORNING TO; STOP IN THE NAME OF LOVE=JESUS! AND ALSO REMEMBER TO STAY IN THE DIVINE BOUNDRIES OF TODAY! It is good for a man to bear the yoke while he is young." Wallking On Water, One Day At A Time By Faith.